Remember when Angry Birds Space was announced? Well there is finally some more footage of the upcoming game. 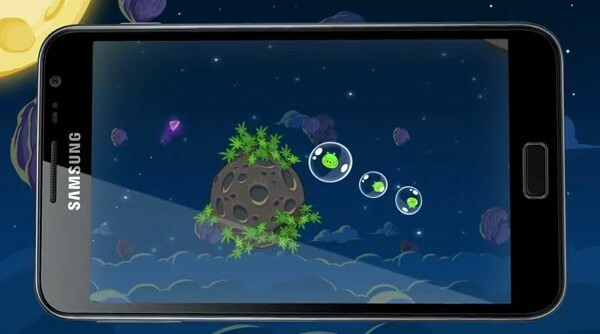 Angry Birds Space will be different from all the other games, one main reason is that this game will take place in outer space. Gameplay-wise there is not much info, but Rovio has leaked some info yesterday. The video below will show You'll have to skip to the three-minute marker, but you'll get a glimpse at some anti-gravity avians, bubbles, explosions and atmosphere re-entries. Take a look yourself at the video below.